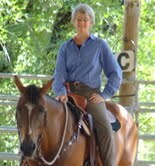 Q – I bought a 4 yr old Morgan gelding 6 months ago. I was told that he cannot be given vaccinations – that his head will swell, he’ll get hives all over, and that his breathing is affected. This is even with Banamine and Dex administered. I’ve noticed that he has an extreme inflammatory response to bug bites, and minor injuries. He also has a dull coat, and lots of pimple like scarring on his neck – possibly from previous injections? Could these other symptoms be because of his “vaccinosis”? I’d like to get his system better, if that is the case, but have no idea where to start. A – I feel your horse’s immune system is weakened by the previous vaccines and we need to focus on rebuilding it. Nutrition and homeopathy are my main tools for this. I would give your horse Thuja 30c 1 dose and start him on these algae supplement packets at 1 packet twice a day. You can read more on homeopathy in my Holistic Horsekeeping book and about vaccinations in my Vaccination ebook. You may want to consider a panacur power pak 5 day deworming as well. Make sure his teeth are checked by a good equine dentist and back off on any strenuous training until he is stronger. Avoid drugs or chemical fly sprays and protect him from flies with natural products or fly sheets. If at all possible turn him out in a large pasture with a herd of horses that he gets along with even if this means taking him out of training. The extreme allergic reactions tell me your horse is not able to handle stress and his system is close to being overwhelmed. Time, homeopathy and nutrition can bring him back but it will take much less time if he can be as stress free as possible during the process. Q – Should this horse be vaccinated in the future? Currently my other horse only gets WN and EW-T once a year, and not at the same time. I don’t vaccinate for anything else. But, this horse responded badly (hives, swollen head, labored breathing) to both vaccinations, even though they were given months apart and with banamine. It scares me that in trying to vaccinate, he could go into anaphylactic shock and die. My main concern is tetanus – how long can he go without this booster? A – Horses have been known to survive a tetanus infection when they were vaccinated 10 years before. That gives you lots of time to get the immune system healthy. Until he is healthy I would avoid any vaccines. This entry was posted in General Horse Care, Horse Health Care and tagged equine vaccination, feeding horses, holistic horse care, holistic horse health, horse, horses on April 22, 2016 by Madalyn Ward, DVM.